1. Choose one of the models listed below or file a single employer application. 3. Schedule a FREE CONSULT! We can connect you with other growers! H-2A is a costly program, and the cost associated can hinder program participation. Wafla has developed 3 different programs in efforts to reduce the financial burden to employers. The following are examples of cost-saving programs, available only through wafla! The shared worker or shared contract model works when there are multiple growers. In order to use the shared contract model the employers listed on the contract must have one common crop, and they must have the same period of need. The shared contract model allows employers to bring in a larger number of workers on the same contract and save application costs. This model also allows all the employers listed on the contract to share workers amongst themselves, if needed. The sequential model creates substantial cost savings, but also requires additional planning by the employers involved. In the sequential model, there are multiple periods of need, and workers transfer between employers accordingly. This model is especially beneficial to growers with very short periods of need. The sequential model provides employers the workers they need, for the period of time they need, and does not bind employers to long periods of time under the required higher wage rate. What’s your packing house doing for you? Packing houses are indirectly involved in finding labor for their growers by spreading the word about the need for workers throughout the areas they cover. What if your packing house did more? 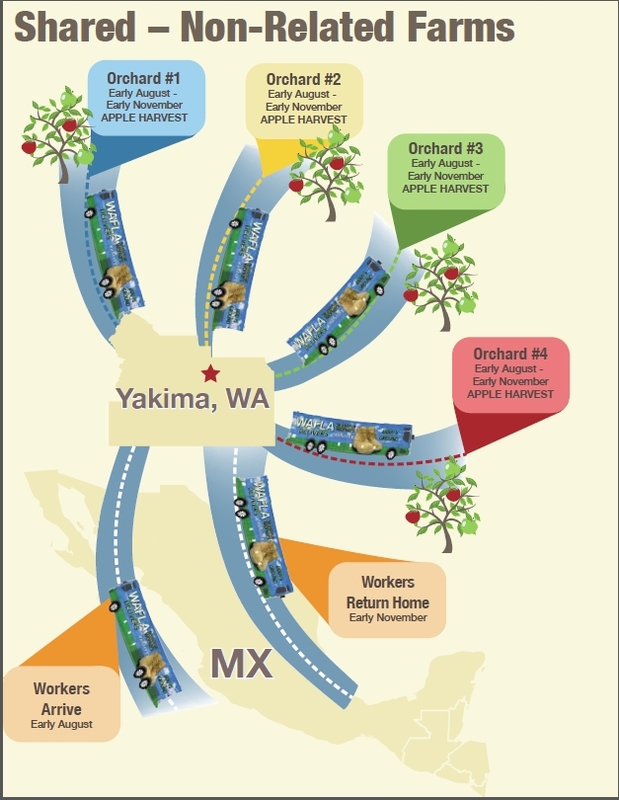 In 2014 an innovative packing house took it upon themselves to help their growers navigate the complex H-2A program. 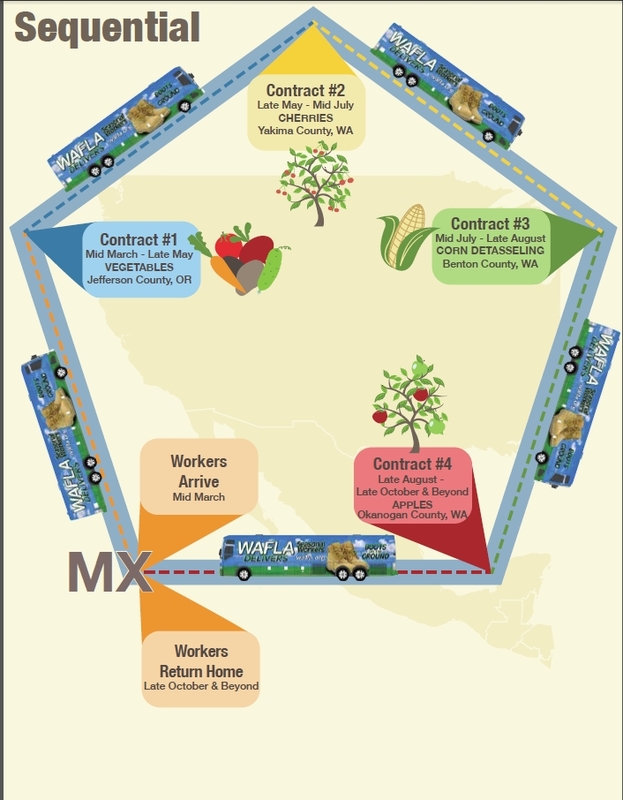 This packing house facilitated the H-2A process for the growers involved by helping them locate licensed housing, providing a contact person to work with wafla, and keeping employers informed on the status of the application and their requirements. 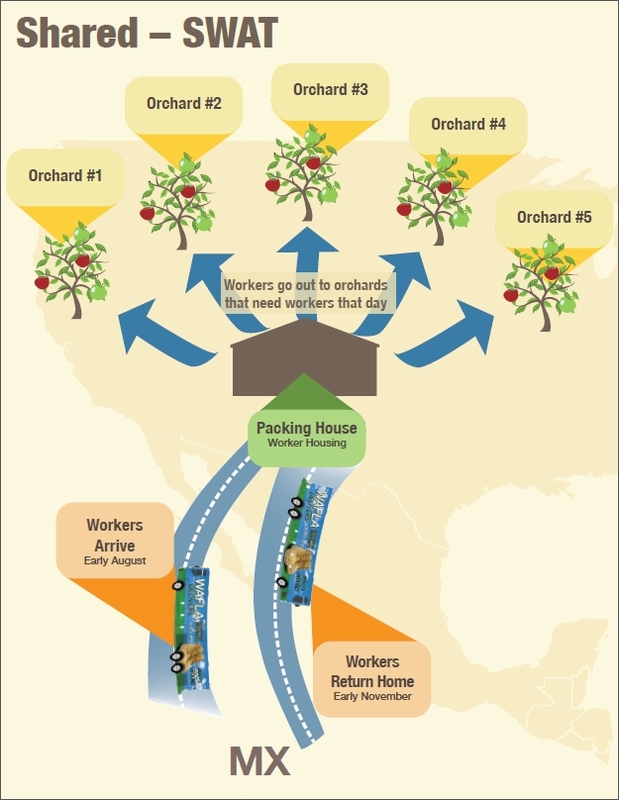 The packing house model is a version of the shared contract model–the differences are that workers stay at the same housing, and the packing house acts as a liaison for sharing workers amongst each of the growers listed in the contract.